So I have a bit of a guilty pleasure…..coffee. I love coffee. I have had this love for a very long time and until recently had no intention of breaking up with my beloved. Maybe you are like me? Maybe you sometimes only get up in the morning because you know you can make this wonderful cup of joy that will get you going. Or maybe you get to mid-afternoon and want that pick me up that will keep you going until bed. Of course there are all the in between times like the “morning coffee break”. A great time to chat with friends or colleagues or just take a break from what you were doing along with a jolt of caffeine. And there is the evening coffee to get you through the big project that has to be done. There are lots of times that I love coffee. When I was younger I was an all or nothing kind of gal. And to be honest the substances were a bit stronger than coffee so I really needed to just stop. But you know and I know that you can say you are going to do something, you can start your day with that intention, you can do everything right and still not make it happen. I quit smoking about 5 hundred times before I made a decision and stopped. I spent $80 on a patch, which at the time might as well have been a million dollars, and that was it. I was not going to waste that money. I made a decision and stuck to it. To be fair the patch helped me to transition my lifestyle. Having small victories builds momentum and that is a great resource. We are about 90% emotionally driven and so the physical cravings and changes are the smallest part of giving something up. It’s the voice inside your head that says “just this last time” or ” you deserve it”. This voice is not helping you. It is sabotaging you, destroying your health, and making you feel like a failure. So what’s a girl to do. I had wanted to do some cleanses this year and felt held back by my coffee habit. I have three kids, I work, I home school one child, and I try to fit in exercise and self care. I am a busy person, you are a busy person and we don’t want to fall off the deep end and not be able to fulfill our responsibilities. Quite honestly I was scared of what I would be without my coffee. When I realized that I had a lot of fear around removing coffee from my life even temporarily I decided it was time to face that head on. This coming week I will be changing my morning cup of coffee for a caffeinated tea. I still have fear around this but I am forging ahead. It helps that I have told people I am doing this and so I have a level of accountability. I am making some coffee alternative drinks that are really helping bridge the gap and I will be sharing some of those in my videos. I had wanted to have the experience of living without coffee and to see if I would feel more balanced. I often feel like I am on a constant feedback from my body concerning sugar and caffeine. In my experience the more body and mind altering substances that you are playing with the more you feel like you are juggling your addictions. I need to add a bit more of this now, then a little of that after….It never ends. When I was in my 20’s I thought that a lot of the issues that younger people had would just dissipate with age. Somehow being older meant you had your act together. Boy was I surprised when things just got worse. So if the problem wasn’t addressed it could still be there 30 years later? That was mind blowing. Now that I am in my 40’s I see in myself things that I have not fully delved into. On top of that I find that habits are more entrenched meaning that it is easy to do the same thing over and over. So if you have something you would like to give up and it can be just for now, just for today, then join in the fun. Here are some questions I am asking myself. They help me to remember why I am doing this. What are you gaining from this? How does this help you to accomplish a personal goal? What have you gained from this today? How are you feeling at the beginning, one week in, two weeks in? Good luck and I’ll keep you posted on my successes. Soluble fiber is a key part of combating digestive issues. Whether your stress goes right to your stomach or you suffer from IBS, drinks with soluble fiber can make a big difference in your daily life. Let’s face it we all have to eat. We all know that adding fiber to our diet is key to a healthy digestive system. So what exactly does soluble fiber do differently from the bran flakes that I ate for breakfast? Ingesting soluble fiber prior to eating food creates a coating on the inside of the stomach and intestines that helps the entire system to relax. It actually slows down the digestive process and reduces muscle spasms. When the stomach and intestinal tract relax IBS and other diarreah issues are greatly reduced if not eliminated. Slowing down the digestive tract also helps to regulate blood sugar. As your lunch, snack, or dinner is digested, sugars get dumped into the blood stream. Soluble fiber helps the body to work more efficiently. This, of course, is especially important for people with diabetes. Thirdly, soluble fiber makes the body feel more full. The digestive system has slowed down and this tells the brain that the body is full more quickly than without the soluble fiber. So it helps to promote weight loss. Those are some powerful benefits! Bamboo Leaf Tea contains 4% soluble fiber. If you are drinking it unsweet it is a calorie free form of soluble fiber. Wow! So remember to drink some Bamboo Leaf Tea before that next meal and your body will thank you. “Tea made from bamboo really?” This is the question I get asked a lot. The short answer is “Yes”. 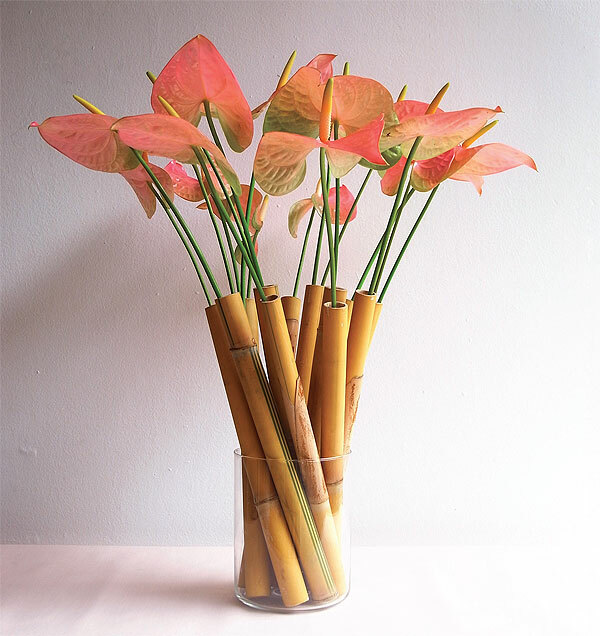 Bamboo is a fantastically versatile plant that can be used for everything from flooring to clothing, from utensils to food. It is and continues to be a food staple in Asia and is slowly being introduced to the rest of the world. Bamboo teas have been used medicinally in India, China, and South America for hundreds if not thousands of years. The documented use of the plant shows up in the Ayurvedic books as well as the Chinese Compendium of medicine. In Central and South America the uses have been passed down from healer to healer. The green leaves would be picked and boiled to make an extract that has been used to treat upper respiratory problems, aid liver detoxification, digestive issues, and skin ailments to name a few. In Chinese medicine bamboo is believed to reduce dampness in the liver which manifests it self as irritability, anger, and toxification of the body. In Japan the people who work weaving bamboo are thought to have less health issues due to the absorption of the plant through their skin. In Columbia boiled leaves are used to treat coughs and in Cuba the leaves are used in poultices. In Asia bamboo leaf extract are widely added to drinks to boost the immune system and promote overall health. This is the beginning of bamboo teas. 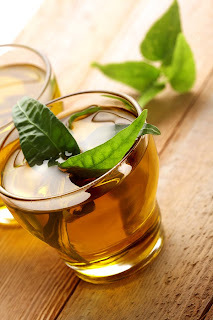 Bamboo Leaf Tea has taken this idea and turned it into a beverage that can be enjoyed in many variations. 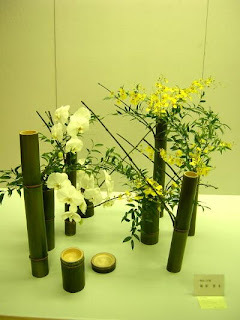 There are many types of bamboos as there are many types of people and so I intend to create many bamboo blends and so bring this ancient health benefit to you. 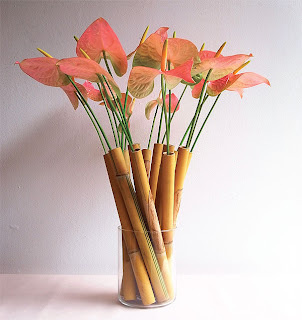 Bamboo can be used in so many creative ways and it’s all natural. Asian cultures have of course been using bamboo for centuries and yet we are just discovering the possibilities. 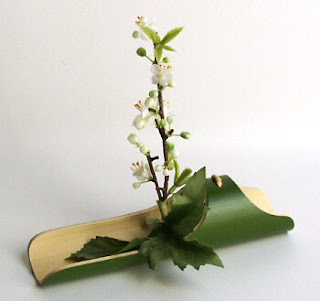 I love these variations but even just simply putting branches into a vase is beautiful. Discover your own variation. Making the perfect cup of tea is pretty straight forward. The biggest parts are the ingredients. So water, tea, and a mug or bottles. Easy right? But what ingredients are you putting in the mix. They are not all created equal. The water should be alkaline, if possible, or a good high quality water. All water is not the same. I like to use alkaline water because it has a wonderful softness to the feel and it super hydrates the body. If you can find a spring that is a great option. So aim high with your water and your body will thank you. Next is the tea. Bamboo Leaf Teas are made with fresh, organic ingredients. The bamboo is hand picked and processed right here in the USA to ensure the highest quality. The nutrients of the soil the plants are grown in along with the time of harvest and the handling of the material all have a huge impact on the tea. Thirdly is the mug or glass container. Please don’t use plastic especially with hot water. A nice high quality mug for hot teas is perfect. When making larger quantities for ice tea it is best to use stainless steel pots to make the tea in and glass to store the tea in. To make 6 quarts of ice tea fill a stainless steel pot with water, measure 1/2 cup of loose leaf tea or 8-10 tea bags and add to the water. Bring the water to a rolling boil and then turn off the stove. Cover the pot and let it sit for several hours to cool. If you are making any of blended varieties bring the water to a boil, turn off the stove and let the water cool for a few minutes, then add the tea. Green and black teas should only be steeped for 3-5 minutes. Lemongrass, mint, ect. can steep longer even several hours. The bamboo opens up a bit more in the higher temperatures but when blended with other herbs it is best to let the water cool to just below 200 degrees F before adding the tea. After the tea has steeped, and the water has cooled, add sweetener and pour into glass containers. I like to use 1/3 cup of Agave or honey for 6 quarts of tea. If you get some nice glass quart size bottles you will have a great to-go drink in the fridge ready to grab as you head out the door. So start with high quality ingredients and you will notice the difference. May the strength and flexibility in bamboo be pervasive in all aspects of you life. Is there caffeine in it? One of the most frequent questions I get asked about Bamboo Leaf Tea is “Does it have caffeine?”. The short answer is that no bamboo does not contain caffeine but some of the teas that I blend it with do. Coffee, cacao beans (chocolate), the tea plant (camellia sinensis), kola nuts, guarana berries, guayusa, and yaupon holly all contain caffeine. As far as teas go black tea has the highest amount of caffeine, then green tea, then white tea. So the Green tea + Lemongrass blend, the Breakfast Black blend, and the Chai blend all contain caffeine. These three makes good alternatives to coffee in the morning or afternoon. ternatives to caffeine. A great cup of tea high in nutrients made with alkaline water is a great place to start. Mint Medley with it’s refreshing peppermint taste is great after meals for digestion and wakes you up. Usually our body is most tired when it is dehydrated and under nourished. So bamboo with it’s soluble fiber and antioxidants can make a great afternoon drink. 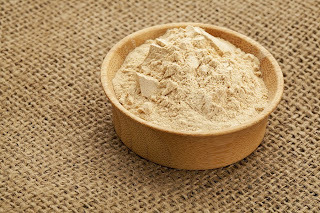 Maca is a great stimulant that can be made into a coffee like drink. It helps with clarity and focus. Green smoothies with wheatgrass or just a wheatgrass shot can give a super boost to your day. The super nutrients in wheatgrass will power you up naturally for the afternoon. So try one of these healthy alternatives when you are running on empty and your body will thank you with renewed energy that lasts. So we talk a lot about the chemical and nutritional make up of foods. What compounds are in the food that make them healthy? 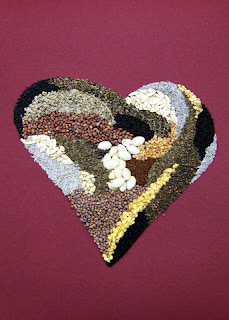 What nutritional aspects of a specific food helpsheart disease or diabetes? Which supplement should I take for bone density or chronic fatigue? Is it organic? What is the pesticide level on or in the fruit or vegetable? Questions and more questions about what is in the food or on the food that we consume. And these are all valid questions and worth looking into. We are eating such a limited diet and the majority of the grocery store is devoted to corn or soy based products. Our food is being grown on huge farms where the pesticide and herbicide applications are excessive at best, and our soil quality is decreasing every year. So what if we put all of that aside and look at the energetic side of farming. It makes sense that small farms, especially organic farms produce a higher quality of food. But just maybe the food from small farms has an even higher value. 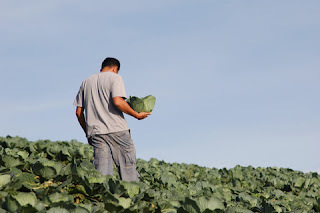 Food that contains the energy of the place it is grown and the people who grew it. The energy of the area we live in and the people who we surround ourselves with is apparent in all aspects of our lives. We say things like “if all of your friends jumped off the bridge would you jump too?” or “he lives on the wrong side of the tracts”. There is more evidence now then ever before that who we are with affects our behavior. Our brain is built to mimic our surroundings. This is so we can more easily adapt to new environments and live more efficiently. We consciously and unconsciously copy our neighbors, friends, and co-workers on both the surface and on deeper levels. I once lived in a neighborhood where within six months in the five houses that surrounded mine there were 3 divorces, 2 plastic surgeries, and 1 affair. To this we respond with sayings like “there must be something in the water”. I responded by moving. So if where we live and who we surround our selves with matters what about who grows our food and where it is grown. It is this idea that leads many to bless the food they eat before consuming it. It is both an expression of gratitude to our higher being, and those who worked hard to produce it, as well as a cleansing of the energy that it contains, and an intention of what we hope to receive from it. This concept is replicated in most cultures. I do this when I process and package the tea. I also have begun to wild harvest some products from Canada like Chaga, raspberry leaf, and St. John’s Wort. I find that incorporating wild elements into our food brings another dimension to our diet. We are so completely immersed in our human designed world and our human designed food that our world is becoming smaller and smaller. Nature is still out there vast and beautiful, known and unknown. Consuming wild food brings the element of the bigger picture into our life and we can appreciate gratitude for it’s creation. So think about where the food you are eating not only came from but who grew it, processed it, cooked it? How is that affecting you? It’s an idea worth considering.